Hangzhou City in Zhejiang Province is a representative city of tourism in China which is visited by 26 million tourists each year. This city, which places great importance on the environment, is tackling issues from standpoints ranging from low noise and traffic safety to porous paving. 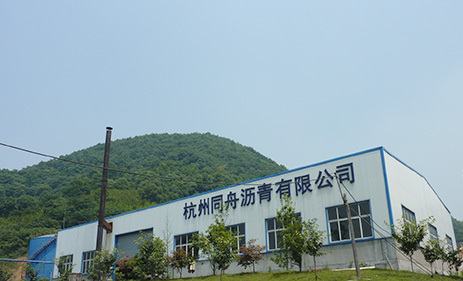 Under these kind of conditions, the joint venture company "Hangzhou Tongzhou Green-Pave Co., Ltd." was established with the aims of providing a stable supply of modified asphalt for porous paving and of popularizing paving technology that is considerate to the environment, and is carrying out the manufacturing and sales of modified asphalts. : Watanabe Sato Co., Ltd. and NICHIREKI CO.,LTD. 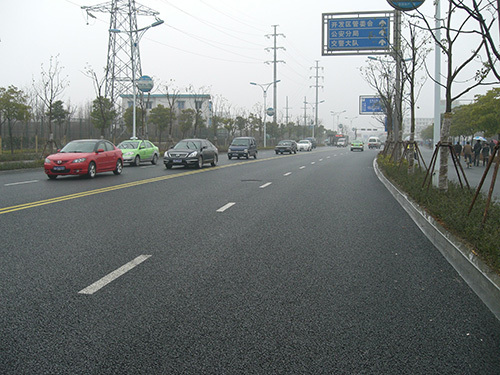 : Hangzhou City Road & Bridge Co., Ltd.
Porous pavement using modified Asphalt of Hangzhou.